Join life-long Jack London aficionado and park docent Doc Stull for a compelling reading followed by a spirited discussion at the House of Happy Walls, Jack London State Park, Glen Ellen, CA. 2:00 PM – 4:00 PM, Sunday, August 12. Free. 2400 London Ranch Road, Glen Ellen, CA 95442 Portico at House of Happy Walls Museum. T: (707) 938-5216 $10.00 Vehicle entry fee. There is limited seating for this event. Limited to 20 participants – please make reservations to insure seating. Californian Jack London (1876 -1916) was the most popular American author of his day – adventurer, romantic, realist, war correspondent, boxing writer, revolutionary, sportsman, socialist, public intellectual, dreamer…combative, contrary, contradictory, charismatic, and courageous – Jack London’s legacy lives here amidst the mystical magic of Valley of the Moon. Perhaps no other American author encompassed more diverse subject areas and amassed more output within a short life-span of only 4o years – 50 novels, more than 200 short stories, plus a well-spring of non-fiction and photojournalism, London was a larger-than-life man of great passion, vision, and contradiction. Join Doc and experience one of Jack’s most riveting and unforgettable short stories. 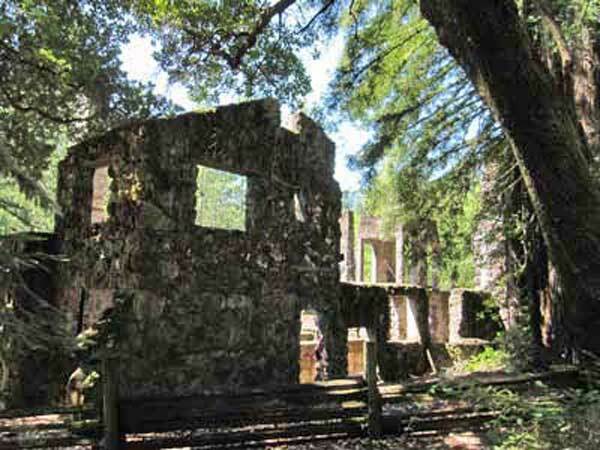 Doc will lead a Tour of the Wolf House Ruins at Jack London State Park, Glen Ellen, CA, 1:00 PM – 2:20 PM, Saturday, September 16, 2017. Jack London was the most popular American author of his day – adventurer, romantic, realist, revolutionary, sportsman, socialist, dreamer…combative, contrary, contradictory, charismatic, and courageous – Jack London’s legacy lives here amidst the mystical magic of Valley of the Moon and the silent stones of the burned out Wolf House that was to stand for a thousand years. 4:00 PM – 6:00 PM, Saturday, August 12. Free. 2400 London Ranch Road, Glen Ellen, CA 95442 · T: (707) 938-5216 $10.00 Vehicle entry fee. There is limited seating for this event. Please make your reservation at the link at the bottom of the page. 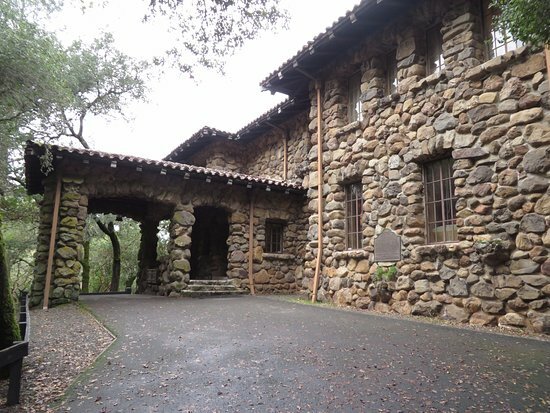 Doc will lead a Tour of the Wolf House Ruins at Jack London State Park, Glen Ellen, CA, 1:00 PM – 2:20 PM, Sunday, April 14. Free. 2400 London Ranch Road, Glen Ellen, CA 95442 · T: (707) 938-5216 $10.00 Vehicle entry fee.